We present a very comfortable travel pack with 1.4 kilos of perfectly sliced ham shoulder from an Iberian pig. 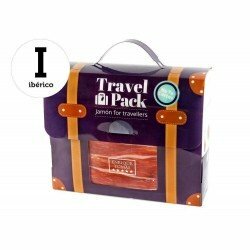 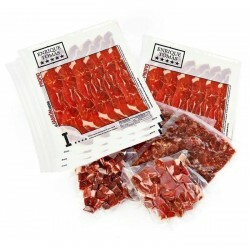 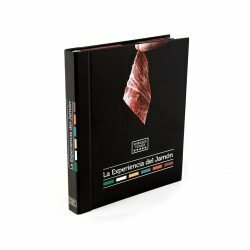 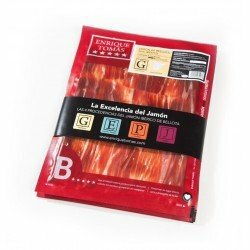 The Iberico de Cebo ham shoulder has a spectacular taste that nothing to envy to the rest of Iberian products and with this convenient product you won't have to worry about preserving or cutting it correctly, because you will have everything sliced by professionals and vacuum-packed in sachets so that you can take it and eat it as you wish. Enrique Tomás' Travel Pack is an unbeatable option!